I wanted to share a submission from one of our guest bloggers with regards to checking and reviewing your credit card statements! I will admit, I am just as guilty as the next person for relying too much on technology to save me from myself. Keep an eye on those statements! This post takes me back to the day when I got my first credit card. The first piece of advice my dad gave me after receiving the shiny new piece of plastic was: “Always review your credit card statements!” This advice was hardly ground breaking, and any Saskatoon financial planner with an ounce of common sense will agree this is the first line of defense against credit card fraud. Yet a decade later, here I am kicking myself for losing the equivalent of a mortgage payment because I was too lazy to review my monthly credit card statements. A few weeks ago, I was casually viewing my credit card transactions using my banking app. Seeing that the current balance for the card was unusually high, I looked closer and spotted a transaction for over $4,000, paid to a company in San Diego. Since I’m not rich enough to casually throw around 4Gs without noticing, and hadn’t magically transported to San Diego recently, I nearly had a small heart attack before I immediately called the credit card company. The credit card company cancelled both the transaction and the credit card. Easy! But an uneasy feeling found its way into my stomach when I started to wonder if other suspicious transactions had been charged to my credit card in the past, especially considering I couldn’t remember the last time I had seriously reviewed a credit card statement. So I printed my credit card statements from the past year and reviewed them. What I found was unsettling. Almost immediately after the card was issued, small but unusual transactions had started appearing on my statements: a charge for Flight Center, a Goodlife Fitness membership in Florida, and hotel stays in Kentucky, Tennessee. All occurring over a period of 12 months. Unlike the $4,000 charge, these charges were small enough to blend right in with the other transactions on my statement. My simple review of transactions using my app had caught nothing. My next call to the credit card company was not such a gracious experience. The credit card company refused to reverse the charges, citing a policy that gives the statement holder 65 days to report fraudulent transactions. No matter how much I pleaded with them, I was out of luck since the charges were beyond the 65 day period. Not to mention the classic (and logical) argument that it is the cardholder’s responsibilities to review their statements. Since this post is not intended to discredit my credit card company and their policies, I’ll move on from this unfortunate turn of events and point out the even more unsettling fact: had I not noticed the $4,000 charge myself, I would still be in possession of the same credit card without any knowledge that the fraudulent transactions were occurring! Imagine how this could add up over months, or worse, years. Using an app to scan transactions is quick but makes it easy to miss suspicious transactions that simply look like the rest of your credit card activity. Sadly, my e-statements were buried in my inbox along with promotional emails and spam, and the lack of a physical paper statement meant I simply forgot to make time to review them. I should note here that reviewing statements with a ‘suspicious transaction’ mindset is different than a quick scan, because it forces you to be more critical of the charges. Second, we tend to think that credit card companies are great at catching fraud using their technology; however none of the suspicious transactions I identified above, including the $4,000 transaction, were noticed by my credit card company! I had fallen into the false belief that my credit card company would do the work for me and notify me when they saw a strange transaction. And I thought they had my back. The reality is credit card companies have no obligation to watch out for you and do not, in fact have your back. They will be the first to point out that as the cardholder, it is your responsibility to identify suspicious activity, not theirs. (Note: the purpose of this blog isn’t to dump on credit card companies, but I am making a point that the sob story of my losses made no difference in the credit card company telling me I was SOL). 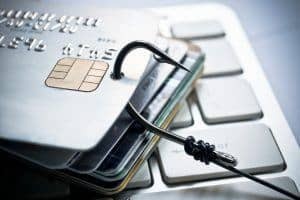 Frankly, had I not fallen into the trap of ignoring my monthly e-statements and casually reviewing my transactions on my app, the fraud would have stood out to me immediately. The aggravation of losing the equivalent of a mortgage payment because I was too lazy to be vigilant stung. So, cheers to you, Dad, because you can bet I’m never going to ignore my monthly credit card statements again.